Women want to stay in shape and to achieve this they will have to do some training and exercises. Here is where CrossFit comes in. To make sure you’re following, I need first to explain more about what is a CrossFit, which I’ll be talking about throughout the article. What is a CrossFit? CrossFit is more of a fitness program rather than just an exercise program that combines several types of exercises and sports. It includes elements such as running, weightlifting, high-intensity interval training, gymnastics and more. For you to comfortably perform CrossFit workouts, you need to have the right pair of shoes. Having the best CrossFit shoes for women ensures that you can do your exercises with the much need comfort to avoid getting tired fast and with ease. Here is how you can choose the best pair for your CrossFit program. How to Choose the Best CrossFit Shoes for Women? You may be missing out on your CrossFit workouts benefits because of the shoes you wear every time you exercise. As a woman, if you want to take your exercise to the next level, you need to put on a CrossFit shoe that is designed specifically for your training and workouts. Want to squat deeper, jump further, and climb higher? The best CrossFit Shoes for women is what you need. Check out the factors to consider when choosing a CrossFit shoe for women. Material: The materials used for the pair of CrossFit shoes that you desire matters a lot. First of all, you should get a CrossFit shoe that has a material that is hypoallergenic to prevent any reactions you may have, or you are not aware of having. Lastly, I would recommend you go for CrossFit shoe that is made from Kevlar infused top or TPU. Shock Absorption: Shock absorption entirely depends on the kind of CrossFit workouts you plan to be doing. For example, if you’re focusing more on a CrossFit practice that involves weightlifting on a regular basis, you’ll need to have a shoe that doesn’t absorb too much shock. Too much shock absorption will reduce how much you lift on a routine basis. Also, if your CrossFit workouts involve running a lot, then you’ll need a CrossFit shoes that can absorb shock to ensure that you don’t hurt your feet as you run. Stable Base: Before deciding on purchasing a CrossFit shoe, you’ll need to consider the substantial sole or base of that particular shoe. If you plan to engage more in weightlifting than other exercises that require less pressure on your legs, then you’ll need to have a CrossFit shoe that can withstand the force of weightlifting. That’s a shoe with a reliable, firm, and hard base that can transfer excessive energy to reduce the chances of you getting fatigued quickly thus minimizing your lifting power. Arch & Heel Support: It is another significant factor to consider before choosing a CrossFit shoe. The best CrossFit shoes for women should be able to support your heel and arch comfortably. If you want to engage in exercises that involve weightlifting or cardio inclined CrossFit workouts, then you ought to make sure there is enough support for the arch and heel to avoid any pains on your feet. Durability: You need to invest solely in a CrossFit shoe that you don’t need to replace it more often since they are not cheap. The more a CrossFit shoes comes with a lot of benefits the costlier it is, and thus you should purchase one that will serve you for an extended period without wearing so fast. You need a shoe that is durable regarding its make, quality, and material. Breathable & Lightweight: You need to consider whether the CrossFit shoes you intend buying is lightweight and breathable as you perform your workouts. A breathable shoe ensures that there is enough airflow in the shoes while exercising. This reduces the chances of overheating and over sweating hence the likelihood of developing blisters is minimal or none. On the other hand, a lightweight shoe will feel more comfortable during weightlifting since they won’t’ be adding more weight to your legs as heavy shoes do. To avoid having over stinking shoes since sweating is unavoidable, then you should purchase a CrossFit shoe that is odor resistant. Snug Fit: You should not overlook this factor since when you have a CrossFit shoe that fits perfectly then the possibilities of your feet sliding and slipping inside when doing your exercises is none or reduced. Having the best CrossFit shoes for women that fits you well, you’ll reduce the likelihood of getting injuries or blisters on your feet thus enhancing comfort during your workouts sessions. Comfort: For every shoe out there whether it’s for daily use or for doing exercises, the primary factor before purchasing is the comfort it comes with. After considering your preference for a particular CrossFit shoes, then make sure that it’s also comfortable. You can do this by ensuring that it fits your correctly in both width and length and you have a pleasant feeling when doing your exercises. Now, you know the factors to check before you purchase a CrossFit shoe that will serve you well in all of its aspects. Here, I’ll review the top ten best CrossFit shoes for women in which you can choose from. The Merrell is a minimalist shoe ideal for running activities, and it comes with a zero heel. This makes it feel comfortable no matter the terrain you choose to run on. 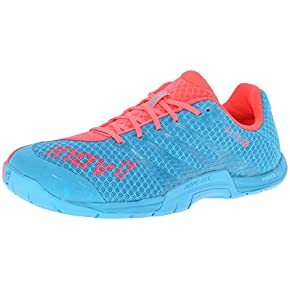 This CrossFit shoe is also light enough for your feet as you run and the cushioned sole offers protection from sharp rocks thus reducing injuries on your feet or ankles due to slipping. 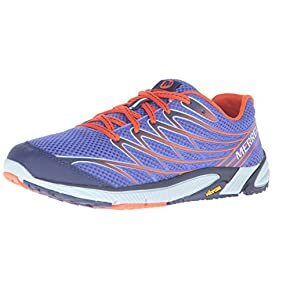 The Merrell sole offers support for your feet as you perform CrossFit workouts because it is so cushioned such that you may not exactly feel your feet on them. It is because they fit perfectly and are very light. Be sure to note that the Merrell is not the best CrossFit shoe if you’re planning on engaging more in weightlifting. However, the comfort that comes with this pair of shoes makes it the overall best CrossFit for running since it has a great arch support. The Merrell has a good breathability thus no need to be worried about over stinking shoes after CrossFit exercises. 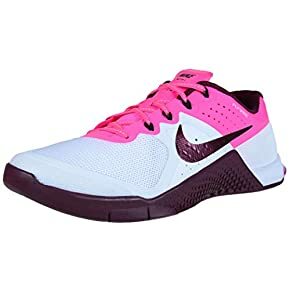 The Metcon 2 is the best shoe for weightlifting for women because it has a stable and flat sole that maximizes the transmission of energy from the ground thus allowing you to lift weights without sliding. The midsole comes with a Flywire technology that makes your feet fit perfectly, and therefore you feel more comfortable in them while doing your CrossFit workouts. The dual density foam found in the midsole offers a great deal of cushioning and support to your arches and heels thus protecting you from any pain or damage to the shoe. The Metcon 2 comes with a mesh upper that is breathable and ensures that your feet won’t get sweaty or too hot for you to continue with your CrossFit exercises. Sweating is very unavoidable, and nobody wants to get blisters, that’s why I recommend you go for the Nike Women’s Metcon 2. 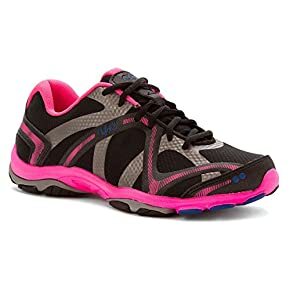 If you’re looking for the best CrossFit shoe for women that you can comfortably do your cardio exercises, then you might consider purchasing the Inov-8. It is a fantastic CrossFit shoe that comes with a traction-focused sole that ensures you have the proper grip on your feet as you exercise. This makes it the perfect pair of shoes for the outdoor or cross country running. The compressed EVA midsole in the Inov-8 ensures that you get enough support at the arches and keeps your feet snugly fit thus absorbing high impact shocks during CrossFit workouts. The Inov-8 is made from TPU upper materials and ultra-lightweight mesh. This means that this shoe is very light, breathable, and comfortable for doing all your cardio exercises. It keeps your feet cool and dry while exercising thus reduces the chances of getting tired fast. Overall, the Inov-8 is the ideal CrossFit shoe that offers snug fit, traction, and comfort and that’s why you should get it for your workouts. This CrossFit shoe is mostly recognized because of its comfortability. It is a budget-friendly shoe as compared to the other CrossFit shoes that offer almost the same comfort levels. 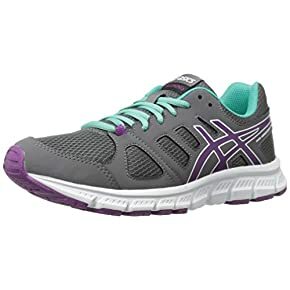 The ASICS Women’s Gel Unifire TR 3 is comfy, breathable, super lightweight because it has an open mesh upper. A padded tongue and collar, as well as the laces, offers a comfortable fit that provides excellent support on your feet thus prevents slipping during CrossFit exercises. The ASICS comes with a removable insole that you can swap with an orthopedic insole if you plan on engaging in high-impact CrossFit training. This shoe has a Fuzegel midsole that provides a forefoot bounce back and rear foot shock absorption. A rear-foot Gel Cushioning System reduces shock on your feet during exercises. If you’re looking for CrossFit shoes that you can feel comfortable wearing and supportive during exercise routines, then you should go for the ASICS Women’s Gel Unifire TR 3. The Nike company has built a strong reputation all over the world for producing a lot of sports shoes. 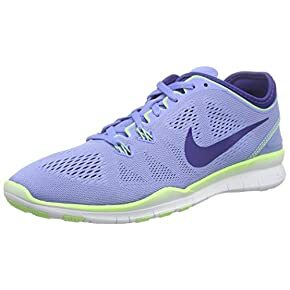 The Nike Women’s Free 5.0 Tr Fit 5 Prt was not left out as it comes with super impressive features that make it the best CrossFit shoe for women to do all kinds of exercises. This shoe is the best choice if you want to engage in cardio, strength training, or gym-based workout routines. The Nike Women’s Free 5.0 Tr Fit 5 Prt has a mesh upper that makes it well ventilated and lightweight. Flywire cables and Lace-up closure offers a snug fit, and the foam-lined collars ensure you get additional cushioning and support. The insoles of this CrossFit shoes are removable, and thus you can swap with an orthopedic insole. It also provides better traction because it has a durable rubber outsole that features patterns that are hexagonal and cubic. Ryka designs sports shoes only for women, and their shoes are made to solely meet all the needs of women who engage in CrossFit exercises. The Ryka Women’s Influence is the affordable and the ideal shoe for cross training. It features a more secured foot bed, increased instep volume, narrow heels, and roomier forefoot than similar men’s shoes for CrossFit training. They are also well ventilated and lightweight because of the mesh upper, and this ensures that your feet remain cool and dry when doing your exercises. Giving you a comfortable wear feeling and snug fit is the Ryka Women’s Influence padded tongue and collar as well as its lace-up front feature. This CrossFit shoe comes with a dual-impact midsole that provides cushioning and support for your feet as you do CrossFit exercises. The rubber outsole is designed to provide exceptional traction. It’s the comfiest CrossFit shoe for women while cross training. Reebok has been designing a lot of shoes for women to help them in doing exercises comfortably and injury free. The Reebok Nano 5.0 is termed as the strongest, lightest, and most innovative women’s Nano shoes. This shoe combines a comfortable fit and perfect light with optimal support and maximum durability. That’s why it’s the overall sturdy shoes for all your CrossFit training. It comes with a mesh upper that is Kevlar infused to provide protection, ventilation, and excellent breathability during CrossFit workouts. Adding to its support and strength, the Reebok Nano 5.0 has a midsole that is a hard Nano-shell. This feature ensures that you get adequate support during lateral and medial movements. The rubber sole is substantial firm and thus helps you in maintaining a stable ground impact. 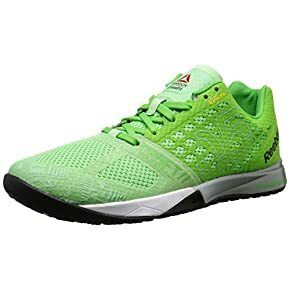 If you need a pair of footwear that you can train for several hours without having that uncomfortable feeling of removing them either due to hotness or over sweating, then the Reebok Nano 5.0 is the best CrossFit shoe for women to have. Puma has equipped this shoe with the best technology that comes with an excellent build by providing comfort, sole engineering, and ensuring it’s the best in breathability. Aside from this, you can also perform all kinds of CrossFit exercises such as heavy weightlifting, running, and everything in between. 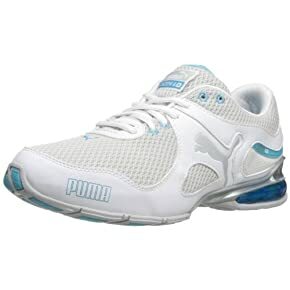 The Puma Women’s Cell Riaze features a 10Cell heel cushion that provides high-tech shock absorption. This shoe has ArchTec TPU Shank that offers a great deal of stability to the midfoot while also allowing natural movements. What makes the Puma Women’s Cell Riaze the best breathability CrossFit shoe is the presence of the intelligent fusion design that features an AirMesh upper that has a textile lining and EcoOrtholite footbed. This combination ensures that it creates adequate room for odor resistance, coolness, wicking, and comfort. Not forgetting that the rubber sole is uber cushioned with a Patented EverTrack and EverRide that enhances traction thus protecting your feet when at the gym or on the trail. 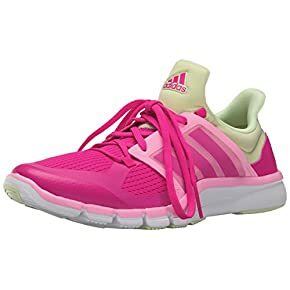 The Adidas Women’s Adipure 360.3 is a lightweight and very flexible shoe that will help you in quick and difficult movements during CrossFit exercises. That’s why it’s the best CrossFit shoe for women since it offers maximum support and protection during training or running. The sole has a deep flex groove design that provides a smooth and natural slide. It has a 4-way mesh upper that stretches to adapt to all lateral or medial movements without any pressure points for extreme natural feel. The secure lace-up from the Adidas Women’s Adipure 360.3 ensures that it offers adequate support and a midfoot cage combines with this feature to provide a snug fit around the arch for more security for your feet. This shoe is covered with a material that has synthetic polyurethane patches to provide high durability. The comfort collar of the Adidas Women’s Adipure 360.3 ensures that your ankles are safe and secure from any injury because it offers extra comfort, natural stability, and an ideal fit. The mesh upper is very thin, and on the inside, it has a soft textile lining that ensures that the shoe is very breathable. The Vibram Women’s KMD LS is for women who want to do high-intensity workouts. That’s why it has a thick sole that can withstand excessive force during intense exercises. It gives a firm grip, and a barefoot feel when you’re cross-training. This is because it has a sole that comes with a circular lag pattern that comfortably stays on the ground during quick-moving exercises. What makes the Vibram Women’s KMD LS the best CrossFit shoes for women is the fact that you feel like you’re doing workouts on barefoot. Some people prefer doing exercises on a barefoot, and if you happen to be one of them, then this is the CrossFit shoe to have. 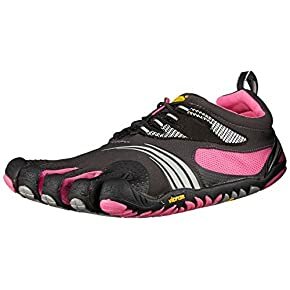 If you’re looking for the best CrossFit shoe for women that will give you a barefoot feeling while wearing it and during workouts, then you should go for the Vibram Women’s KMD LS. By having the best CrossFit shoes for women at your disposal, it makes your workouts to look more natural, and you can achieve the best and desired results so quickly. Every woman who wants to maintain their shape or improve their health by doing CrossFit exercises, then they need to have the right pair of shoes. From the review above, you can pick the one that suits all your preferences by checking against the descriptions of a particular CrossFit Shoe with its Pros and Cons. Don’t forget to go through the guide on how to choose the best CrossFit shoes for women. Now, you can comfortably pick a CrossFit shoe with no hassles.